Well it’s Monday again. So I guess that means it’s time for the latest installment of Worth 1000. So take a look at this weeks collection and if you’re inspired by any of them feel free to comment with 1, 1000, or just 3 good words that come to your mind when you look at them. Thanks for stopping by 3GW. To celebrate the latest acquisition to my vinyl collection, John Coltrane’s Giant Steps released in 1960, I decided to post a few videos I’ve been meaning to put up for a long time. As many of our readers know by now, we are true fans of Coltrane’s music. This album features 2 of what I consider to be Coltrane’s most iconic songs, Naima and my personal favorite Giant Steps. This indeed may be my all time favorite of all his songs so when these videos were brought to my attention, I was instantly hooked and in awe. 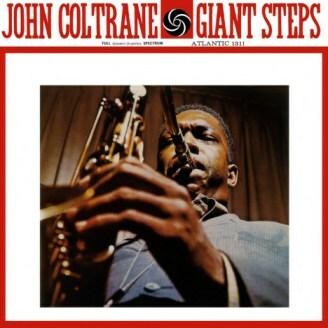 Each video features music from Mr. Coltrane’s single Giant Steps, but both give their own unique rendition of how this is visualized. Many people who listen to music, especially jazz, often have vivid imagery that becomes synonymous with each note, each lyric, and each melody. These are just two examples of what they can become if you have an epic imagination and are technologically savvy. The 1st video features animation using the sheet music of Giant Steps. I’m not sure who’s the creator of it, but the caption to the video simply reads, “This is what John Coltrane’s landmark tune and solo look like when they come to life on paper.” If you’re a fan of this piece or a trained musician (like I used to be) then you may know that the song title comes from the relatively giant leaps between the roots of consecutive chords. If this is a hard concept to grasp then watch the video and it may be a bit easier to understand once you actually see it in motion. Below is the video from YouTube, but the original version from the website is a lot better. Either way, give it a look and prepare to be amazed. Well I hope you enjoyed the music and the artistry of both videos, and as always I hope you learned something new. Thanks for stopping by 3GW.